As I announced recently, this Sunday June 12 at 2pm, I will be speaking on my work at the National Gallery of Art in Washington, DC! 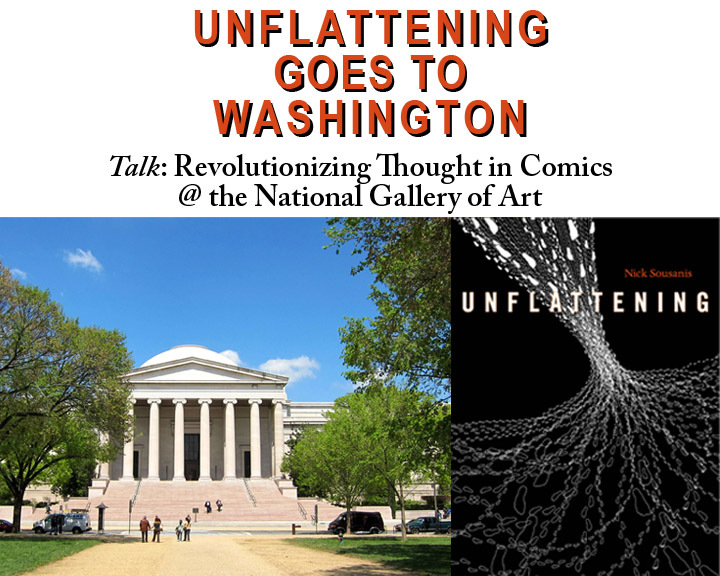 The talk is titled “Unflattening: Revolutionizing Thought in Comics,” and as with everything at the National Gallery, it is free and open to the public. Reception to Unflattening, even since its life as a dissertation and especially since its launch as a book a little over a year ago, has far exceeded my expectations, and I feel extremely fortunate to have been able to travel all over and meet people and share the work. 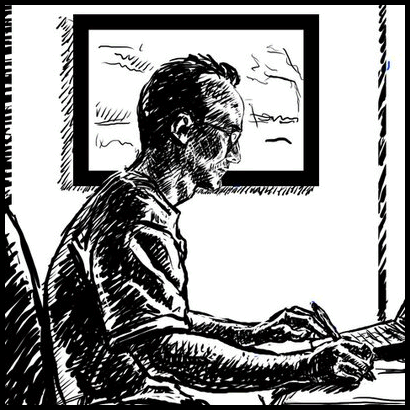 This feels like a an amazing finale to that run (though it’s not actually the end of it, I’ll be keynoting the Sketching in Practice conference at the end of June and more to come) – to talk about comics in a place with this celebrated collection of high arts that has not seen many comics in its 80 year history. But here we are, and I’m thrilled to be a part of it. I will update this space with more about the event as it unfolds. If you’re in the DC area or know folks that are – send ’em out! Details here.